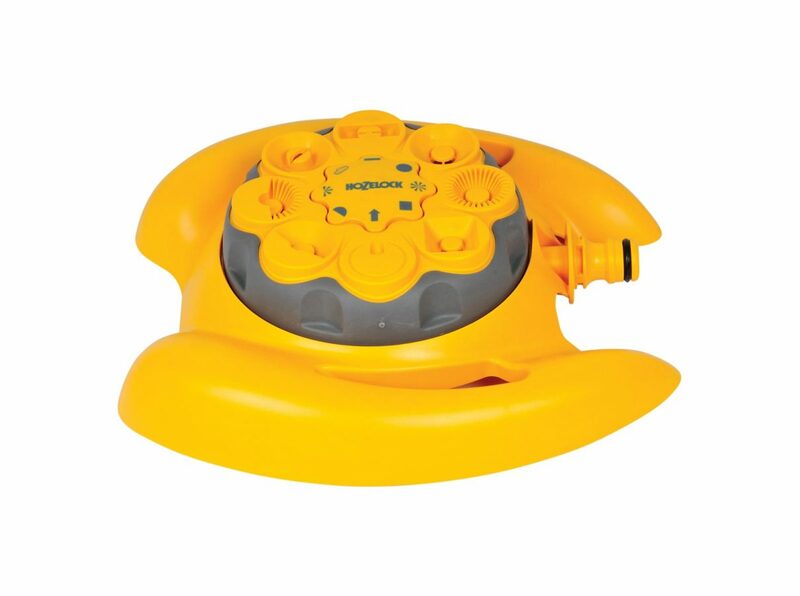 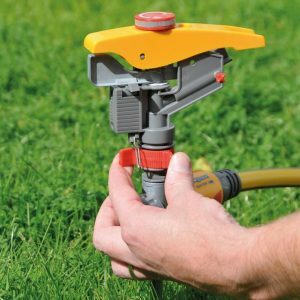 Class-leading, lightweight and easy to use Dial Garden Sprinkler, with a choice of 8-spray patterns to suit all watering shapes and types. 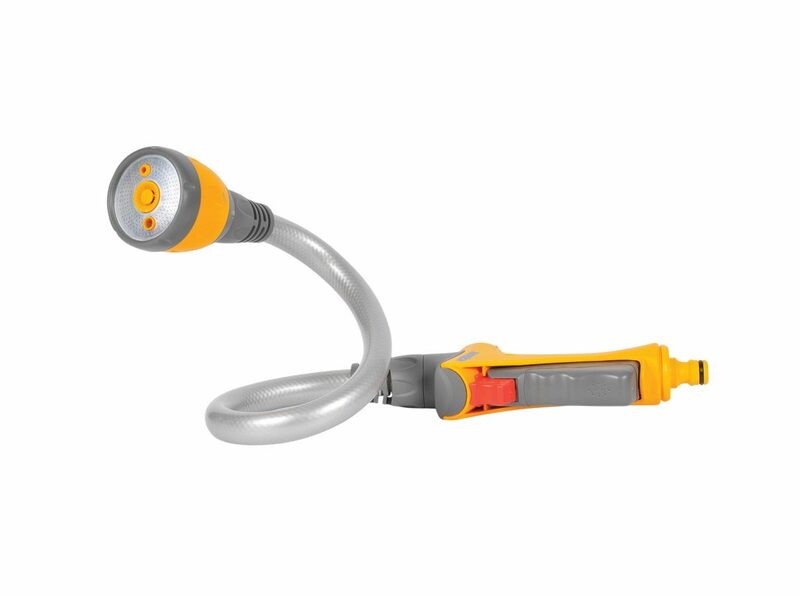 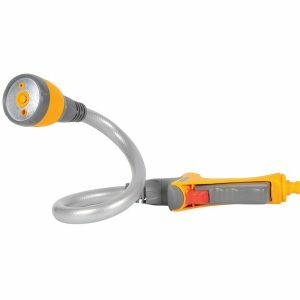 Flexi Spray is an exciting, multi-purpose hose end attachment designed to perform a wide range of watering functions. 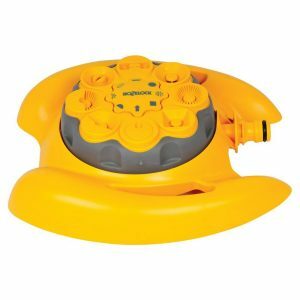 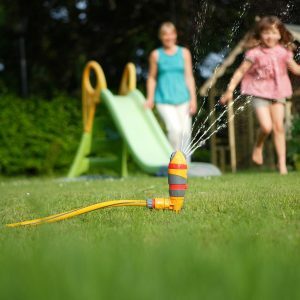 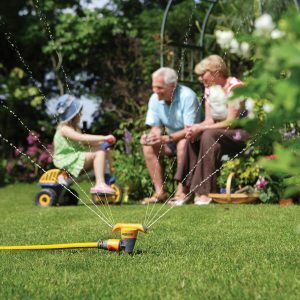 The ultimate Pulsating Sprinkler is one of a kind. It is perfect for lawns and established plants, and reach a maximum coverage of 450m². 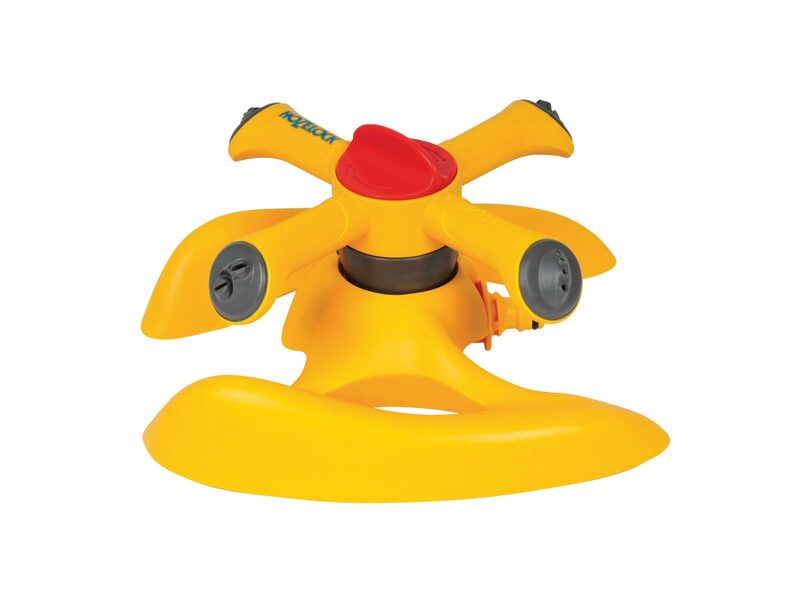 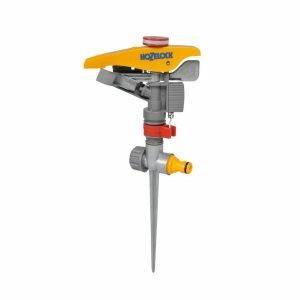 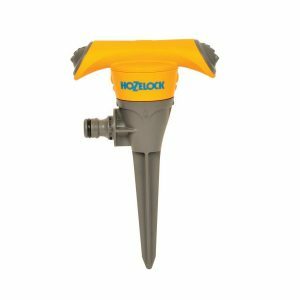 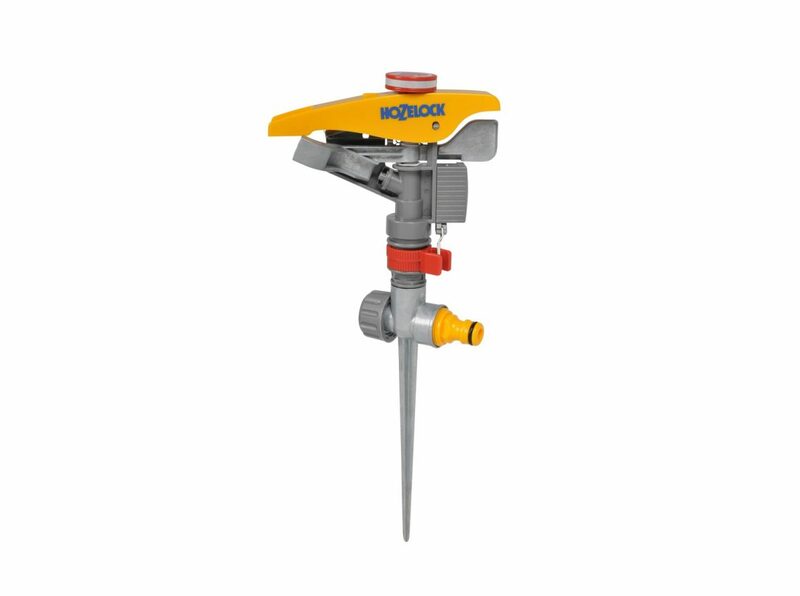 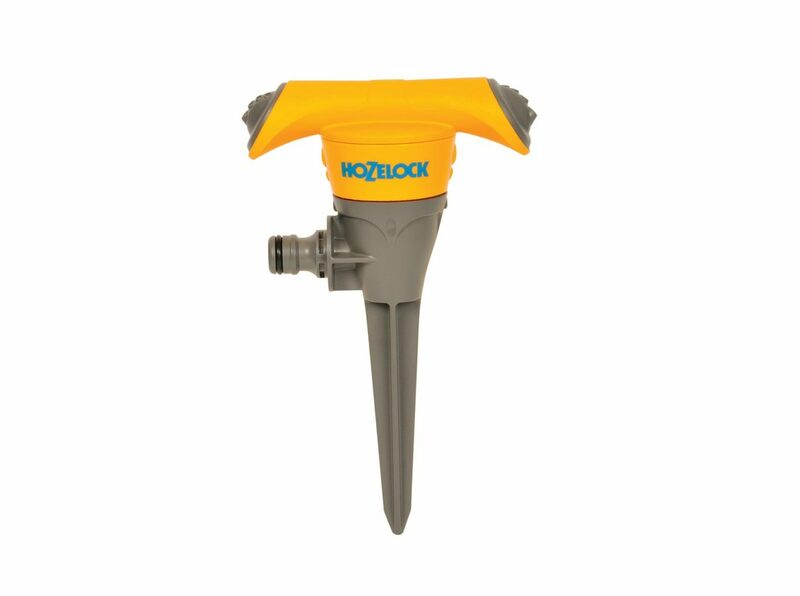 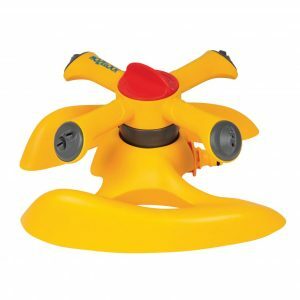 The Hozelock Round Garden Sprinkler is a high performance,, twin arm spike sprinkler complete with 8 jets to efficiently and evenly water your garden. 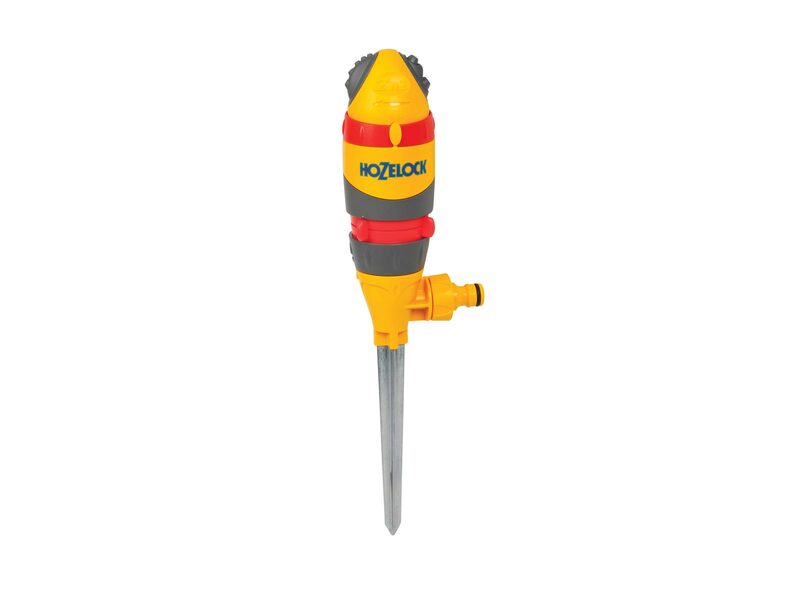 The high performance Round Sprinkler Plus, is great for watering turf and plants. 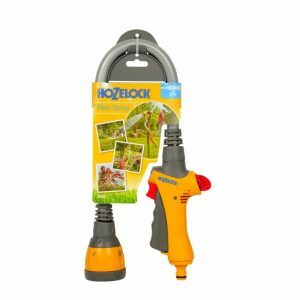 It can also change to a mist spray, for watering more delicate plants. 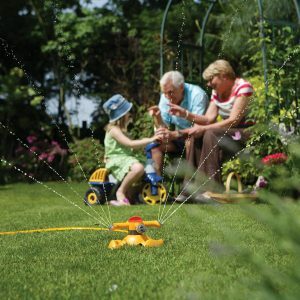 High performance Round Sprinkler Pro, complete with ultra even coverage due to water powered motor and also 2 spray patterns.